Governor Ayede announces temporary halt to destruction. Fact sheet now available. Go to the Protest letters page to download. Rainforest Rescue Petition reaches 86,000 signatures! If you haven't signed it go to their website now! Ekuri protest photos (1/3/2016) just in! Despite no EIA, bulldozing starts on the 'superhighway'. This breaks Nigerian Federal law (the Nigerian Federal EIA Decree of 1992). 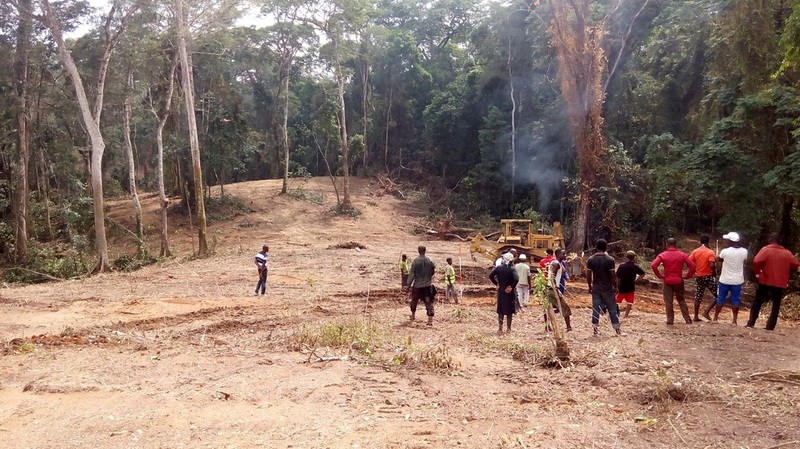 Yesterday journalists travelled to Etara to see the tropical forest being bulldozed making a path through the Etara forest towards the Ekuri forest. ​The situation today is frightening. 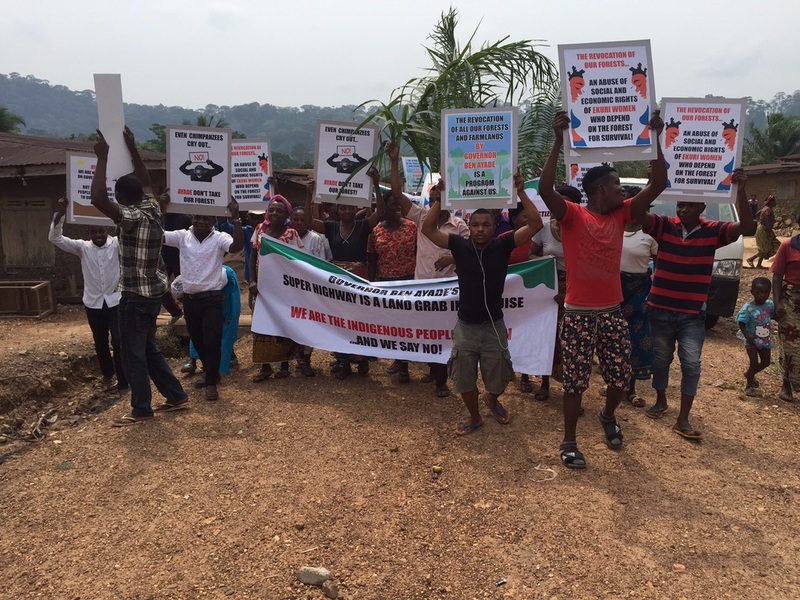 A bulldozer was sent to Ekuri four days ago to commence work, but the Ekuri people did not co-operate with the operators. They were denied accommodation in the community and casual workers to support their work. Just yesterday the bulldozer was removed from Ekuri to Etara/Eyeyen communities sister communities to Ekuri, and massive destruction is going on there now. Women and Children are lamenting the lost of their farms without hope for compensation. 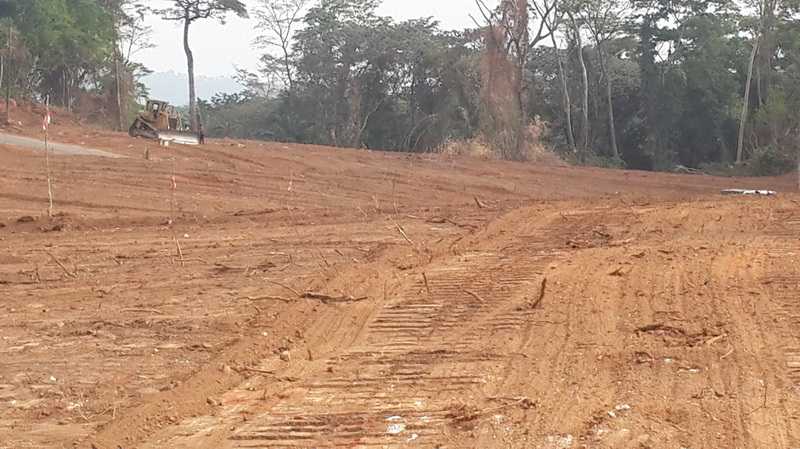 The operators are planning to penetrate Ekuri forest through Etara-Eyeyen. We need to as a matter of urgency explore the fastest strategy to get the federal government of Nigeria call governor Ayade to order, and also move our campaign faster to other forest communities who are on the waiting list for destruction. we sincerely thank all those who have been in this struggle with us. without your support we would have been strangled in this struggle. Here you can see updates of what is happening on the ground in Nigeria.